I know what you must be thinking. Maybe the Apple Fanboys are jizzing themselves, but what about the rest of us? PC users whose only connection to Apple is our iPhone/iPod/iPad, or maybe people who are thinking about an iPhone, but might be looking at the other smartphones on the market, like the HTC or Samsung? Well here's a little peak into the world of iOS 7. 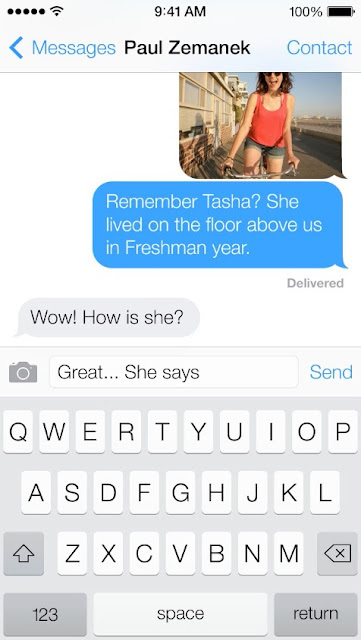 Like everything else in iOS 7, messaging has been totally revamped. 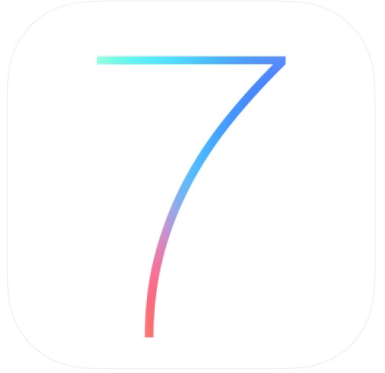 One new feature of iOS 7 is the Notification Center. In a nutshell, you know that little red 1 that appears when you get a text, or a missed call, or any notification? Well now all of those are in one place, so you don't have to search around your iPhone, or have too many apps that have those annoying numbers overhead. 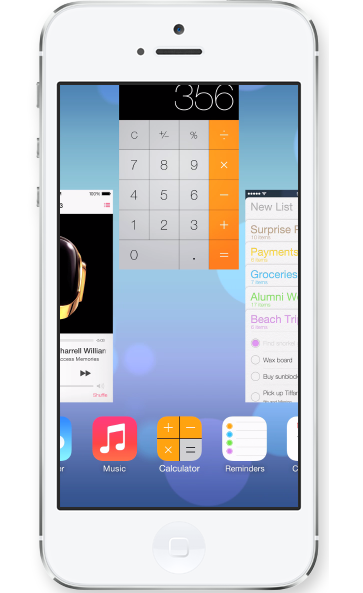 Swiping up from any open application on your iPhone (including the lock screen) allows you to get some important features, like toggling the WiFi, changing the screen brightness, controlling your music's volume, and allowing you to get to some convenient apps, like your flashlight, calculator, camera, or compass. As you can see for yourself, the apps themselves have been redone, and multitasking has become far easier from previous iOS versions. By which I mean, now Siri comes in female or male! That's right, ladies. Siri can now fill that void your half-dozen cats never could: male companionship. Also, Siri has now been given the ability to search websites specifically, like Wikipedia and even Twitter! Plus, there's a wave recognition on the screen, so you know that Siri is picking up your voice. Pretty cool. Fanboys and Fangirls, our dreams have come true: We are one step closer to having KITT! Cars are already beginning to integrate the iPhone into their dashboards, and in 2014, we will see even more integration with your iPhone 5 and Siri. Get directions, text your friends hands-free, make phone calls hands-free. We are truly living in the future. Now, although Apple claims that iOS 7 will be compatible with iPhones going back to the iPhone 4 (sorry 3G and 3GS users), when I first put iOS 6 on my iPhone 3GS, the phone had such an issue with it that I simply had to upgrade, and went with the iPhone 5. Just because it's compatible doesn't mean it'll work like it will on the iPhone 5 or the next generation iPhone. Also, it'll only work on the 5th generation iPod Touch, so if you have previous generations, you're out of luck. However, all iPads will be covered (at least back to the iPad 2), so iPad users can breathe a sigh of relief. If you need any other information on iOS 7, you can always visit Apple's website for full details. Although an official release date has not been announced, the "Fall 2013" release tells us that it's a pretty safe bet that we'll see the official release sometime this month, or at the latest, October. 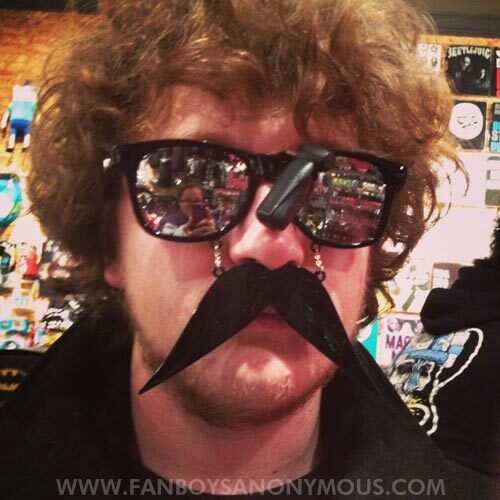 Stay tuned to Fanboys Anonymous for any updates on iOS 7 and the next iPhone! Thanks for reading! My name is Sam Lascio, and I am a Fanboy!